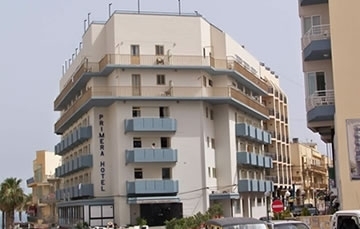 Just a stone’s throw away from the bright blue Mediterranean Sea sits the Primera Hotel. With lovely views, excellent service and friendly staff, this family run, medium sized establishment puts all of its focus into ensuring your holiday in Malta is one to remember. The 82-room Primera Hotel has built its name as one of the most popular 3-Star Superior hotels in the Bugibba area, complete with a rooftop pool and deck. 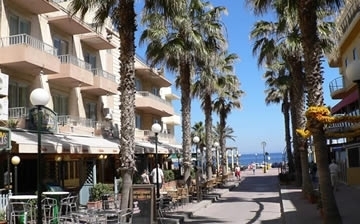 Its location is the perfect stepping-stone to a relaxing walk along the seaside promenade, time on the beach, an afternoon of shopping or a night spent painting the town red in one of the many nearby pubs, clubs or bars. 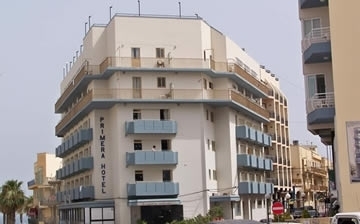 Centrally located, the Primera Hotel is also a great base for holidaymakers hoping to dive, sightsee or enjoy Malta’s many historic treasures. 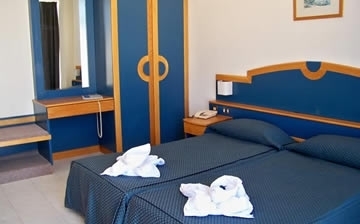 All this, coupled with the wide array of facilities and services offered by the Primera Hotel, guarantees that your holiday in Malta will be the perfect Mediterranean Island vacation. Do you have a quick question for our team? Would you like to send us an email with your query? Would you like to give our team a visit?